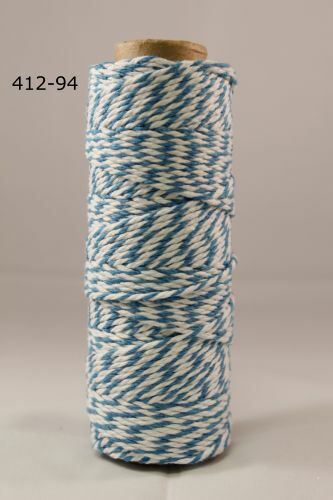 Bakers twine or craft string is a must have for your craft stash. Totally versatile you can use it to embellish cards and scrapbook pages, tie on charms, create bows and tassles or tie up parcels. Here in on trend turquoise and white it is the perfect colour to add a bright splash to your projects. 100% cotton.